Nationalism has been a feature of political discourse in Indonesia since the republic’s inception after the Second World War. It’s taken on more of an edge since the Asian Financial Crisis and return to democracy. Now, in every election, candidates compete to trumpet their economic patriotism. In the current campaign, challenger Prabowo Subianto has gone further and accused elites of selling out the country. Indonesia’s nationalist sentiment goes well beyond China. Even American companies have been sporadic targets under President Joko ‘Jokowi’ Widodo. The finance ministry sanctioned JPMorgan Chase & Co after a sell recommendation on Indonesian stocks and the government last year took a majority stake in Freeport-McMoRan Inc’s Grasburg mine in the eastern province of Papua. This kind of behaviour is great for headlines and appealing to voters. There’s also little sign nationalism has hurt Indonesia’s economic performance in a pronounced way. Growth has fallen short of Jokowi’s target of 7 per cent; the expansion has chugged along at around 5 per cent. But Indonesia is hardly unique in missing forecasts. The Federal Reserve, for example, has similarly been too optimistic. Countries across south-east Asia are realising that such big-ticket projects are unlikely to be financed domestically and it makes little sense to completely tick off a patron as powerful as China. National leaders can haggle for, and sometimes get, better terms. That’s better than simply spurning what’s on offer. On the campaign trail, for instance, Malaysia’s nonagenarian Prime Minister Mahathir Mohamad railed that his predecessor had saddled the country with too much debt from giant projects, and pledged to scrutinise them. Soon after his return to power, Mahathir even shelved an expensive cross-country rail line temporarily. A complete end to the project was never really on the cards, though, for multiple reasons: Work had begun; Mahathir loved huge public works during his previous stint in office; and China had an interest in appearing sensitive to domestic constraints. During a visit to New York last year, Mahathir described his concerns about China-backed projects mostly in terms of debt and cost. He didn’t chastise Beijing so much as the previous Malaysian government. It’s fine to be a China sceptic on the campaign trail. Once in office, though, leaders have to manage relations with Beijing if they want to address their undeniably pressing needs. Indonesia is a far bigger economy than Malaysia and, with its population and role in the Islamic world, a much bigger strategic play for China. That will give its next government leverage. There are examples of how to use it close at hand. Jakarta’s long-awaited subway was opened this year, with the help of a $1 billion (Dh3.67 billion) loan — not from China, but from Japan. 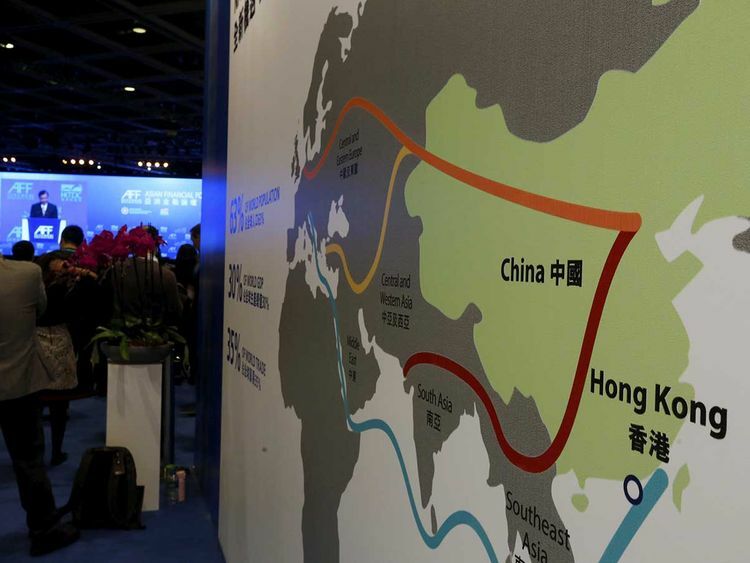 Tapping money from countries and international institutions that are worried about the spread of China’s Belt and Road initiative is one obvious way to lessen dependence on Beijing. China’s receptivity to a new arrangement with borrowers is also telling. It wants the Belt and Road to be a success. That means avoiding public-relations debacles in countries that have megaphones. For its part, China can help ease fears about its investments by making them more transparent and equitable. That means cutting other Asian nations a few breaks, as they did with Mahathir. If leaders around the region are willing to be pragmatic about Chinese money, their Chinese counterparts should be as well.